Databases contain online versions of newspapers, magazines, journals, encyclopedias, dictionaries, and book chapters. Since you access databases online, many people think they are websites. 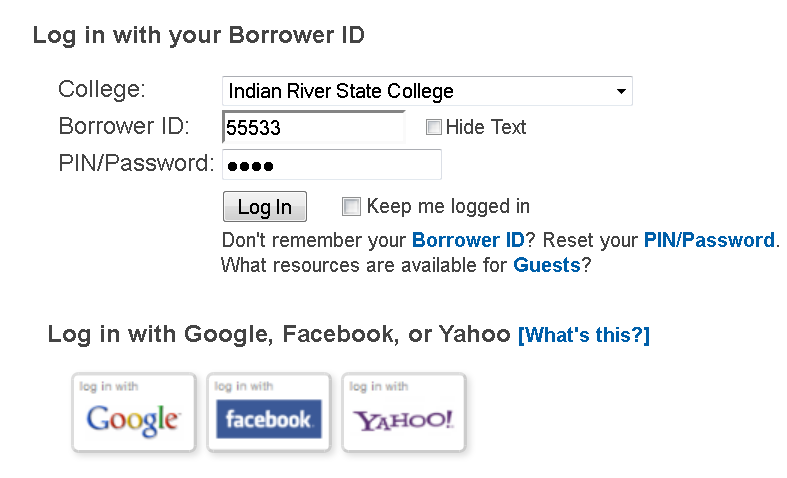 They are NOT websites.You must login to gain access to databases because they are proprietary resources leased for use by IRSC students and employees. Your Borrower ID is your employee ID (PID). Did you know? You can search all the databases to see if we carry a specific journal title. After logging in, click on A-Z Journals on the database list page to search for journals by title. Type the Journal Name into the search box, then click GO. Find the correct journal title and click Find It. If the journal is available in one of the databases, the database will open in a new window set to search the contents of the journal you found. You can then browse the volumes or search for an author or article title to locate a reference.